This is supposed to be the most wonderful time of the year, but it can also be a stressful time. Not only are calendars overbooked and cheese-wheels overconsumed, but for people who come from different backgrounds there can be conflict around the holidays. The solution? Well, there isn’t only one solution but there are many creative and wonderful ways that people are approaching the “December Dilemma”. important stuff - I call them the 4 Ls: Light (decorating), Latkes and Lasagne (food), Laughter (joy), Learning (meaning). What if the decisions in December lead to a more fulfilling, more beautiful, more meaningful holiday for everyone? Sounds good, right? If so, this guide is for you. Create Chrismakkuh with my FREE guide! 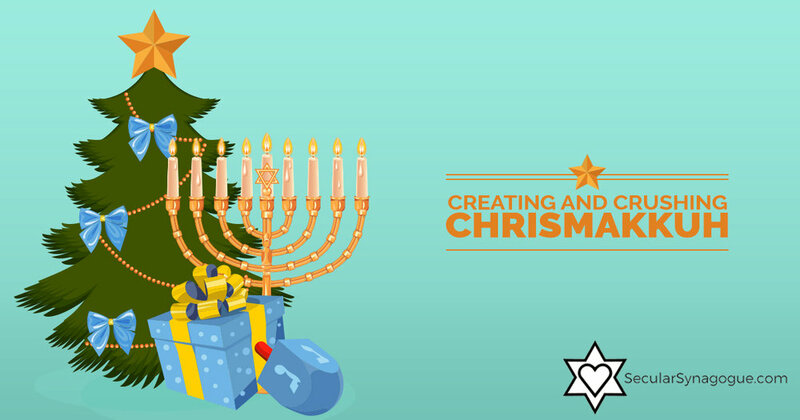 Sign up to receive my FREE guide Creating and Crushing Chrismukkah. Thank you for subscribing! Click here to download your copy of Creating and Crushing Chrismakkuh.